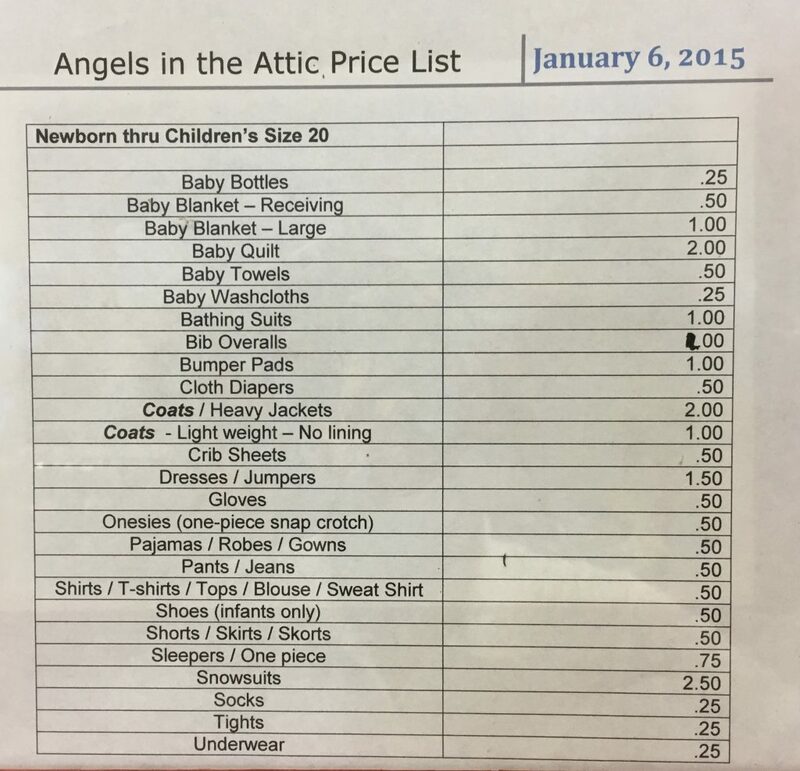 Here are photos of the Angels in the Attic Store price lists. One is for clothing for elementary school children (up to size 20). 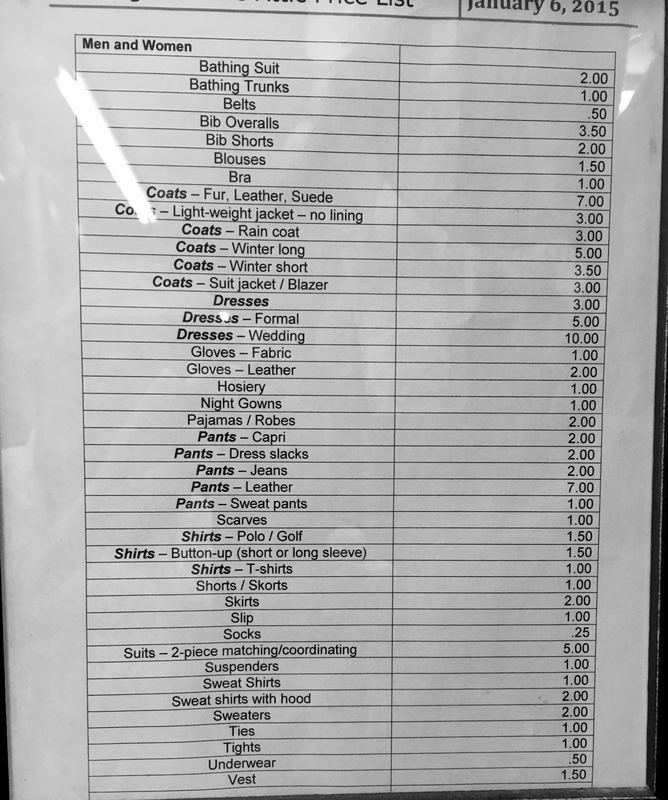 Otherwise, use the Men and Women’s price list for students above size 20. You can outfit all of your children who are students for a tiny fraction of the cost at department stores in Christiansburg.